Douglas Leechman was born in England and was educated in the United Kingdom, Egypt and Switzerland. 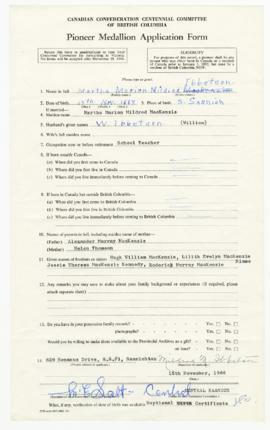 In 1917 Leechman came to Canada and entered the University of Washington in 1918 to pursue a career in Library Science. In 1924 he took a position in the Anthropology Division of the National Museum of Canada, where he remained until 1955, when he became the first Director of the Glenbow Foundation in Calgary, Alberta. He retired in 1957 and moved to Victoria, B.C. The fonds consists of personal correspondence, general subject files, typescripts of material, journalism lecture notes, committee files, photographs, films and sound recordings. 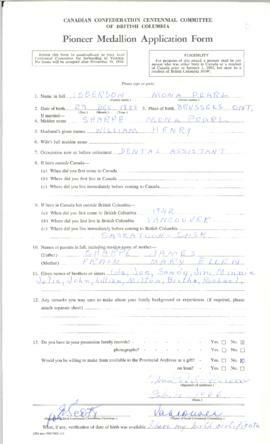 Donated to the BC Archives in 1978 by J. Douglas Leechman. Item-level descriptions of the films and sound recordings are available on-line. Archives code(s): 78-132; 78-210; 198501-014; 89-0977; F1981:16; MS-1290; T3888; CM/A 17484; CM/A 17485; CM/A 17435; CM/A 17438. Includes: ___ photographs, 22 audio reels, and 6 film reels.